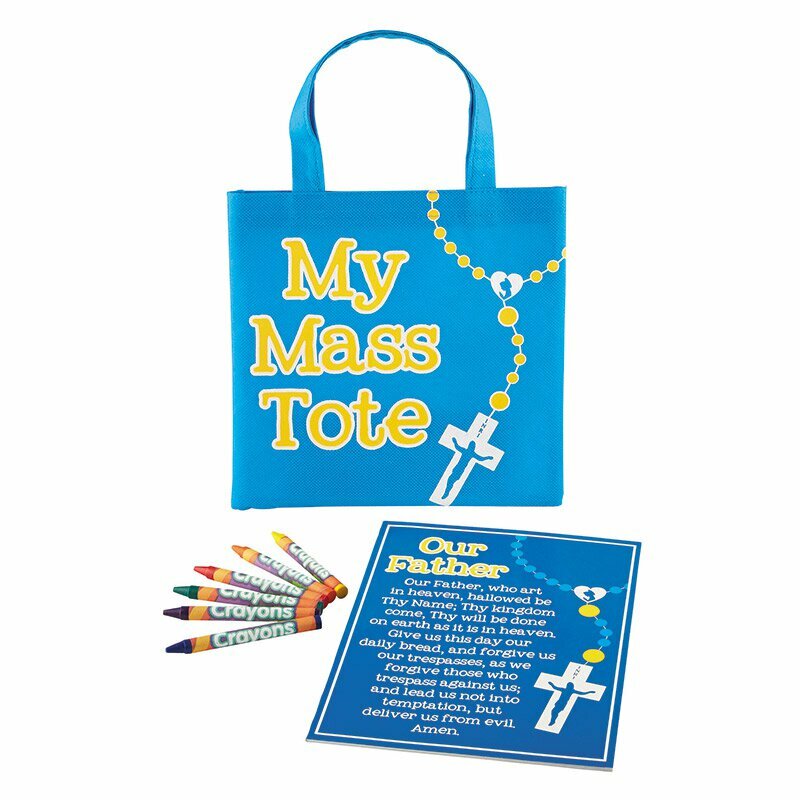 This coloring set is perfect for helping little ones during Mass. Includes note pad and six crayons. 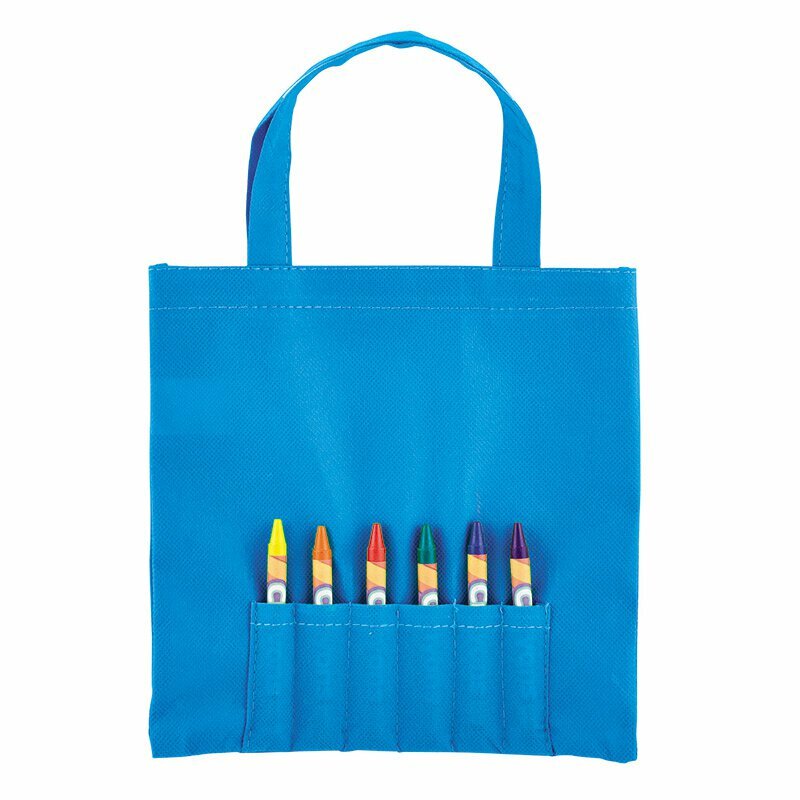 Back of tote features crayon pockets to hold crayons!